Zipline or Ski! Plan a trip and take your pick! 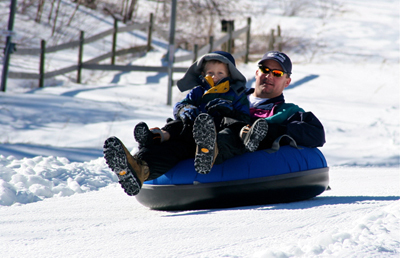 Hawksnest Snow Tubing and Zipline in the Town of Seven Devils is the region’s top destination for family fun in the snow—no skis required. Unlike smaller tube hills at some ski areas, Hawksnest is a dedicated tubing and zipline resort that puts the focus solely on the family-friendly fun of tubing on the snow or zipping above it. Seven Devils’ cozy rental homes, cabins, and condos are just minutes from skiing at Appalachian Ski Mountain, Ski Beech, and Sugar Mountain Resort, but tubing fun and zipline thrills are right at your door step! Make us your base for winter fun. Hawksnest’s cozy lodge with an expansive observation deck sits at the top of the spectacular high valley we call home. Four separate tubing areas quadruple the options for beginners and the most advanced tubers. More than thirty rousing lanes offer rides from 400 to 1,000 feet long. Two effortless moving carpet lifts whisk you back to the top. Hawksnest recently invested $200,000 in increased snowmaking capacity, lane grooming equipment, and enhanced lighting for nighttime fun. And don't forget to grab a hot chocolate and find a cozy spot by one of the fireplaces. Food and light meals are available at a lobby grill and in the upper floor lounge. Cold weather gear and souvenir tubing and zip line T-shirts and clothing are also for sale. Zipline fans have nothing less than the East’s most impressive zipline facility. 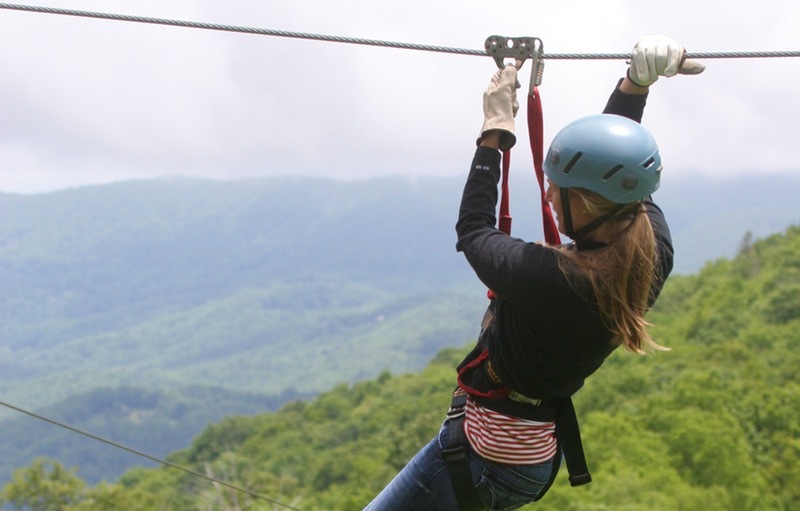 There are twenty ziplines, including four mega zips, two more than 2000 feet long, and two over 1500 feet long. Hawksnest’s four miles of zipline rides reach heights above 200 feet and speeds up to 50 mph. In winter, the ziplines soar above frozen lakes and creeks, surrounded with snowy panoramic views. Ziplining is a year round option. Warmer season routes breeze through leafy forests high above cool green meadows. Hawksnest is located high atop the Town of Seven Devils, North Carolina, just off of Highway 105 South between Boone and Banner Elk. 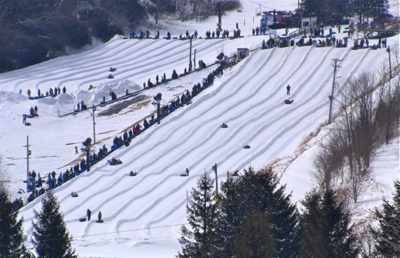 For information, call 800-822-4295; 828-963-6561, or e-mail info@hawksnesttubing.com.